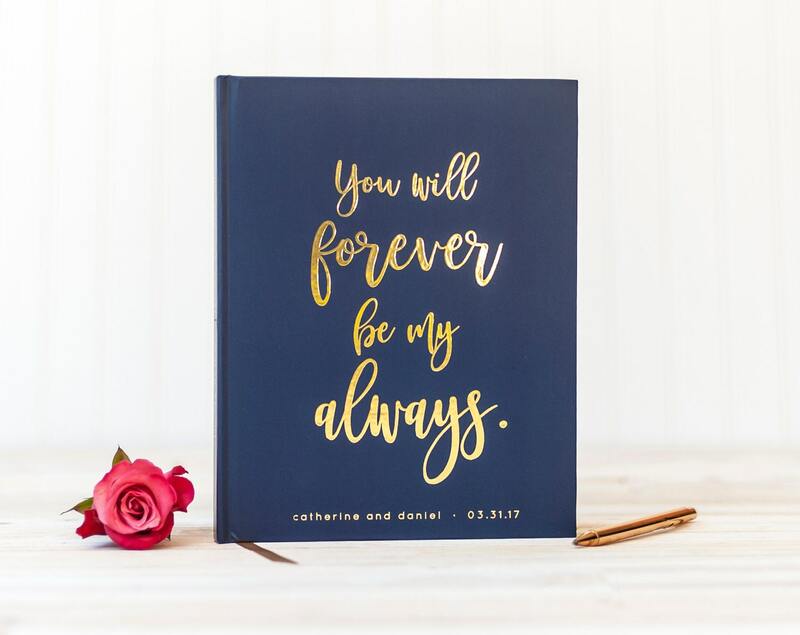 This wedding guest book celebrates you and yours in classic foil printing. You Will Forever Be My Always is inscribed on the cover in a flowing, playful handwritten-style calligraphy font. 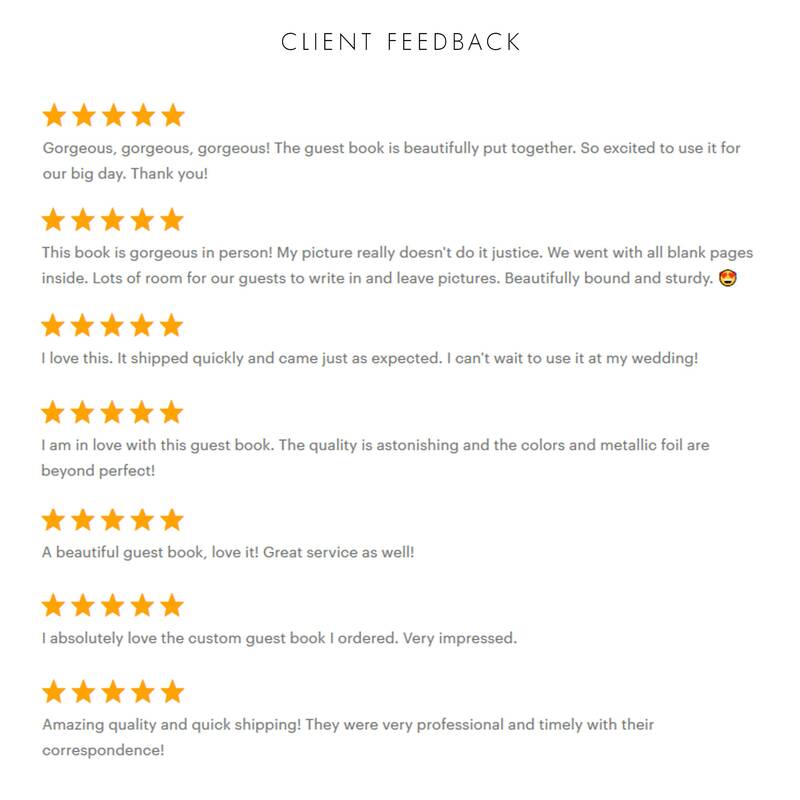 Also personalizing the book are your names and wedding details on the cover and spine. 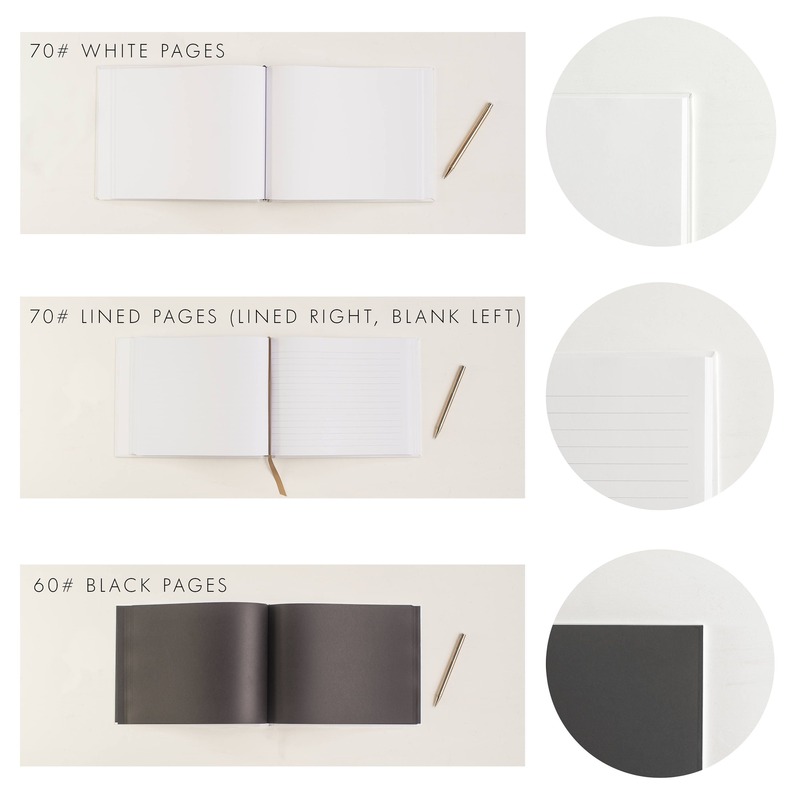 This romantic design is available in three book sizes with three interior page options. The real foiling on the cover is available in gold, rose gold or silver. Shown here in a navy cover color, we can also customize the color cover to white or any color of your liking (see color chart). 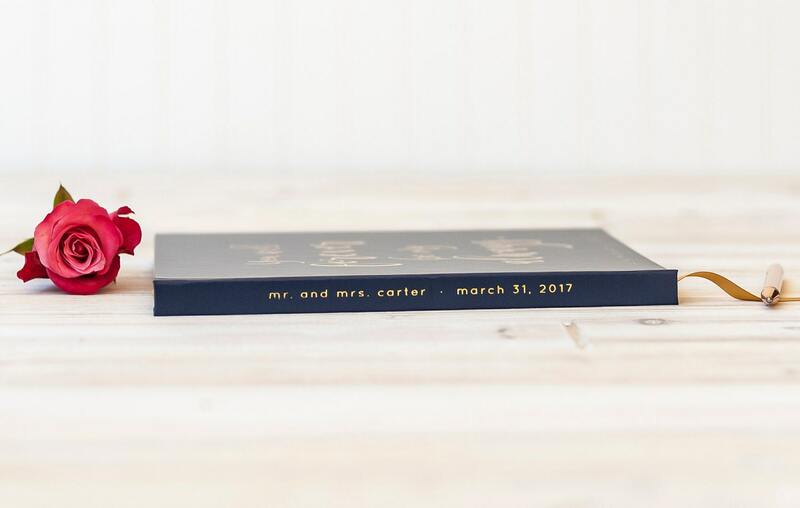 The classic look of this cover design celebrates your Best Day Ever and coordinates well with almost any wedding theme! 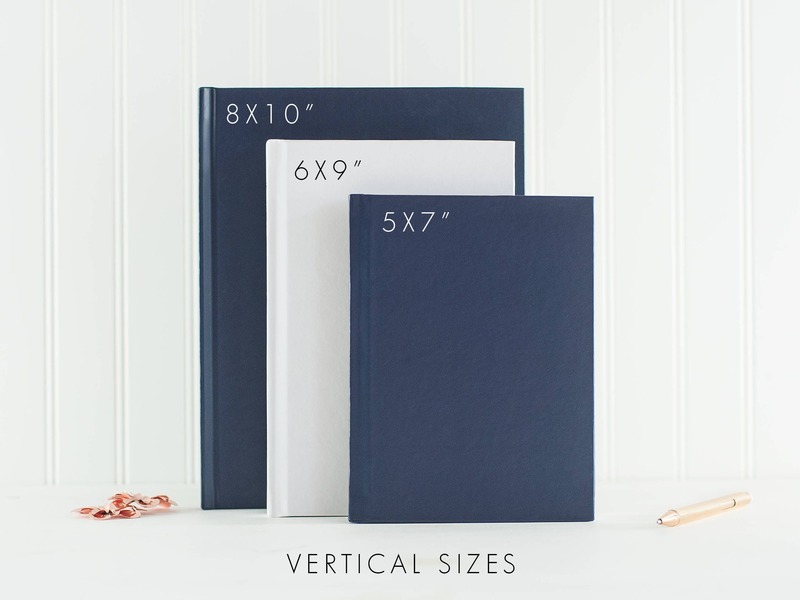 These hardcover books offer a personal touch to memories of your big day. Collect signatures and well wishes on our lined pages, or use as an instant photo book or photo booth album with the black or blank pages. Three sizes to choose from cater to all sizes of receptions and styles.